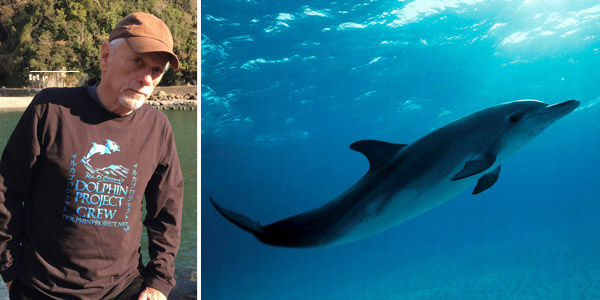 petition: Free Dolphin Activist Ric O'Barry from Detention in Japan! Free Dolphin Activist Ric O'Barry from Detention in Japan! Ric O'Barry (of Ric O'Barry's Dolphin Project) was detained in the Tokyo Airport on Jan. 18, and has since been held in a deportees facility and repeatedly interrogated. Barry is perhaps most known for his role in the 2009 Academy Award-winning documentary "The Cove," which details the horrific slaughter of hundreds of dolphins each year in Taiji, Japan. As a result of this spotlight and his continued work to stop the hunts, he has become a target for surveillance and repeated interrogations by the Japanese government. Please sign this petition demanding that Japanese immigration officials stop making up reasons to detain Ric O'Barry and release him immediately.